Published on March 1, 2011 by cara.b.b. 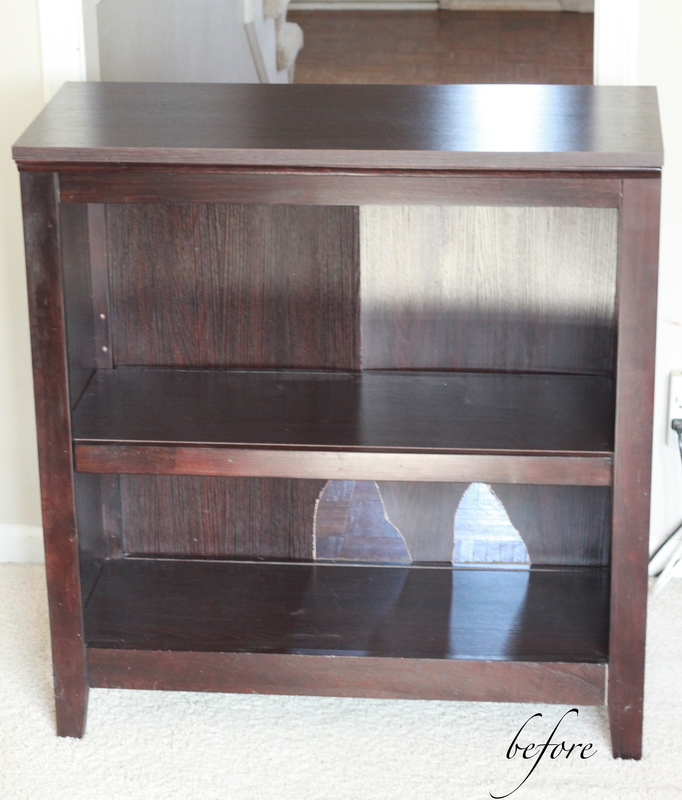 so, i have been dying to give a facelift to a bookshelf we have under our TV. we cut a hole out of the back of the piece to accommodate a few cables, and in doing it, the jigsaw got away from us…oops! thus the terrible jagged hole – we had something covering it up, but i still thought about it and hated it (and i’m embarrassed to be sharing it, but there’s a happy ending!). 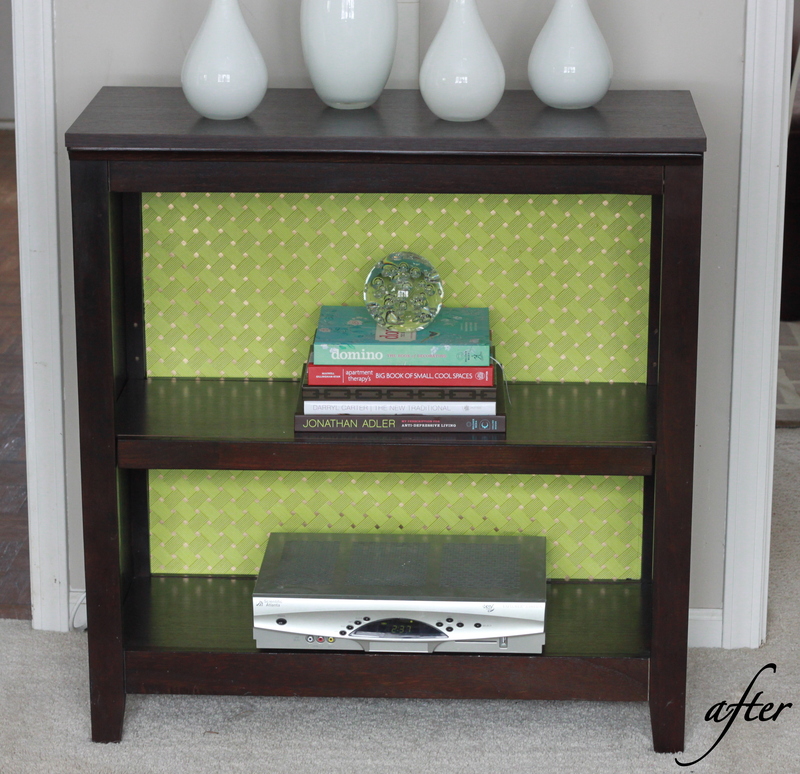 i saw bryn do this to a piece of furniture a few weeks ago – i love that it’s a super-easy fix, and if we hate it in a few months, it’s no big deal to change it up. i’m already thinking an old map would be a cool change down the road. I love it!!! What material did you use for the backing? thanks celeste. i used the wrapping paper that comes in sheets that are about 24×36 in. it’s pretty thick, and i found it at a local arts and crafts store.